Your left navigation has a Block and a _SSI file. 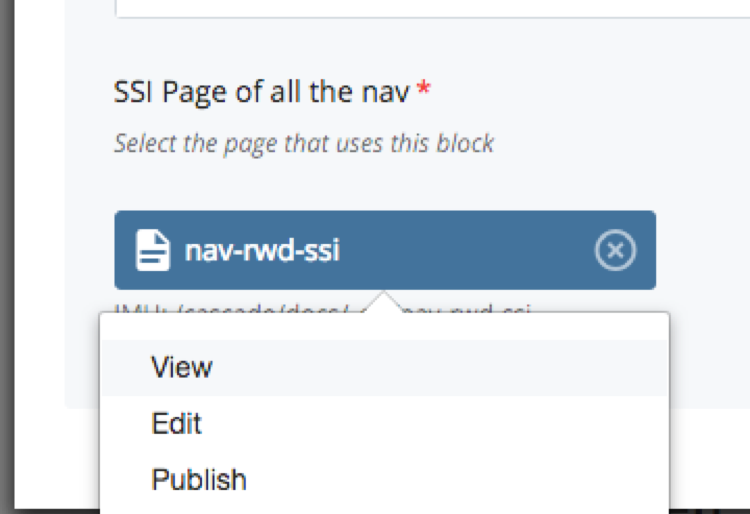 The Block is what you can edit to change your left navigation, while the _SSI file is how you publish your left navigation changes to all of your Pages. 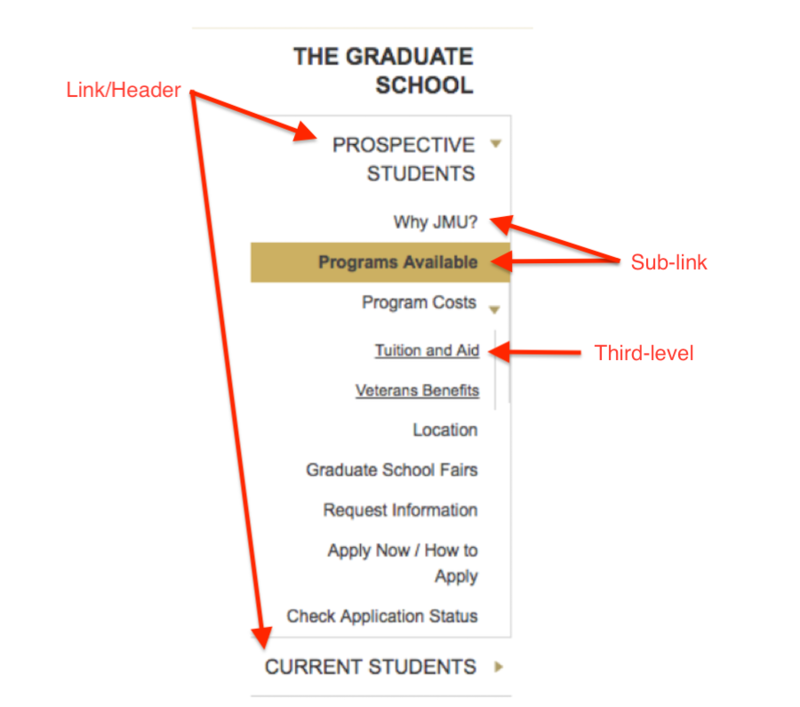 Top level Link/Headers will link to pages, if no Sub-Link is specified. PRO-TIP: If you added Sub-Links but want to maintain the link in the Link/Header, enter a link title in the All Link Text field. This will create a Sub-Link for the Link/Header link. If you do not enter in a link title, the link will display without text as a clickable blank space. If you are having publishing issues, see Troubleshooting: Publishing Error. NOTE: For Breadcrumbs to work, all folders in your website must contain index files. Breadcrumb links only link to index files; if a folder does not contain an index file, the Breadcrumb link won’t be generated. 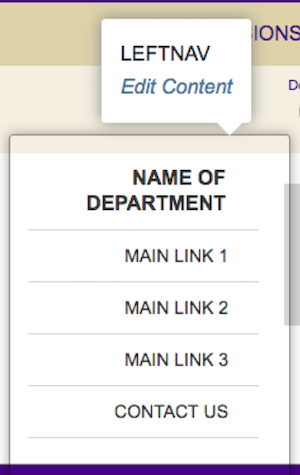 For each index file in your site, add text to the Display Name fields.